The Manila amendments and the adoption of the STCW conventions subject future captains and officers to a probationary period in the form of sea service. 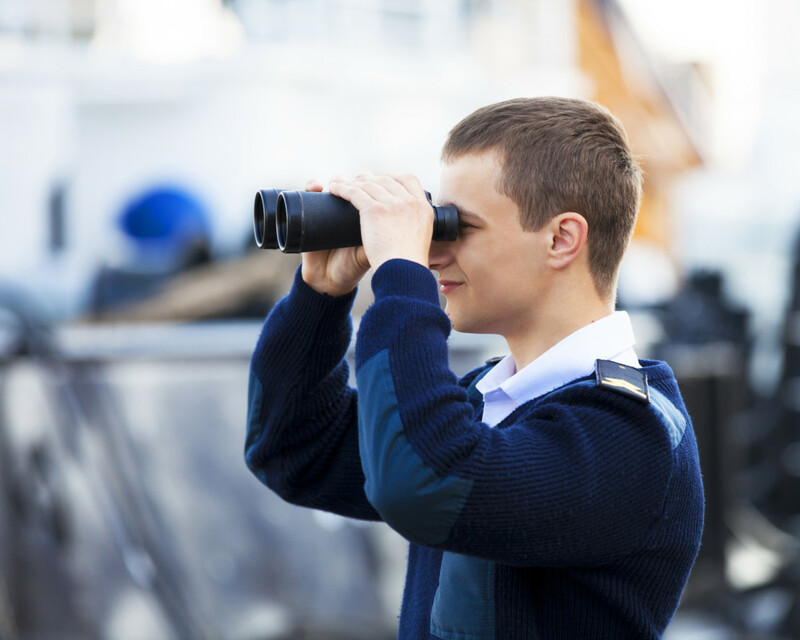 As such, the future certified seafarer will be obligated, upon finishing their theoretical education, to acquire the necessary and sufficient hands-on experience under the supervision of an experienced professional. Indeed, seeing as it would be unthinkable to let a captain without any practical seafaring experience navigate with passengers, the regulation is certainly a very sound one. The regulation is also sensible and easy to respect for those professional seafarers working on cargo ships, fishing boats, and all ships engaged in purely commercial activity. In this case, it is in total accord with reality, as a ship-owner will not entrust his ship, his passengers, or his cargo to a captain or officer who lacks sufficient experience. In practice, it usually takes longer to become a captain as part of a maritime shipping company than the time stipulated by the STCW regulations. These provisions ought not to be controversial. However, from the administrative viewpoint they are impossible to respect when it comes to small-scale commercial boating, and the Master 200 certification in particular. 1) A Master 200 boater is primarily a seasonal worker, working on a boat for only two to three months out of a year. It would thus take him several years to get certified. 2) The majority of the smaller boats have no need of a first mate, or even a seafarer, which makes it difficult to find a tour of duty. The job market does not reply to these needs, as recruitment need not take place at a time when one needs to, incidentally, train certified captains. 3) In large-scale boating, there are certain ship-owners who choose to not declare their crews in the relevant social-security systems. Instead, they employ freelancers who do not fall subject to regulation. Consequently, the captains on these ships do not issue documentary evidence of sea service, and the seafarers become victims of a system that they’re forced to put up with and do not find desirable. 4) Ironically, the ships that have a crew of at least two professionals tend to be the type that largely employs stewards/stewardesses and does not, in the vast majority of cases, make voyages outside of coastal waters. Sailboats that go out farther than 6 miles offshore most often only employ a single skipper and do not hire seafarers. To summarize, it is extremely difficult to find a tour of duty and, even if one does, obtaining a document attesting to the sea service can be just as challenging. Commercial dealings in our society are currently witnessing an upheaval referred to as “uberisation”, to which the maritime world is no exception. It suffices to look at the success that collaborative maritime navigation has had under this model – e.g., co-navigation, crew exchange, and boat rentals with experienced technician included. This type of shared navigation very often breaks the law with regard to the skippers, who are, for the most part, boaters without STCW certification. As such, they are uninsured and are unable to obtain P&I insurance. This type of navigation, with its unquestionable popularity founded on a very powerful economic reality, comes in response to a realistic consumer demand and brings with it considerable revenues that are beneficial to both the tourism and maritime industries. If we look at the phenomenon more closely, we see that it is the coming together of converging interests – the boat owner needs the cash flow, while the client lacks the skills to navigate by themselves. Today, when we have owners who are not certified and thus not insured, it is very much due the fact that becoming a Master 200 in France requires 6 months of coursework in a school and an additional year as an employee on a boat. This arrangement gives birth to a vicious circle with cascading implications: no keeping of accounts, insufficient social-security declarations, no insurance, no pension scheme contributions, tax evasion. It should thus be replaced by a virtuous circle, which must inevitably begin with the possession of an STCW boating certification that isn’t impossible to acquire. Moreover, it is certainly the case that many of the captains that are operating illegally now would be willing to resolve their situation if common sense took precedence over the rigor of the texts. There’s no difficulty in what concerns the theoretical education and the medical requirements, and my experience leads me to conclude that just about all of the candidates are capable of taking the required STCW training. There is, however, a difficulty with regard to the use of maritime English, which in certain cases can be a real obstacle and of no interest to the candidates. Does one really need to be able to communicate in English to show people around the calanques of Marseille? The real difficulty comes down to the obligation of a year of sea service. This obligation is difficult to respect, with it often being impossible to provide the proper documentation attesting to the service having taken place. I had a seafarer this year who has been working for 5 years to complete his service time requirement. As he only works seasonally, he’s stuck going back and forth between unemployment and small jobs, all the while having work waiting for him at his home overseas. Yet, this is someone who has been navigating ever since he was little, and who is qualified to be a good boat captain. A large portion of my students are experienced boaters who are already in the working world and have children to feed: they cannot afford to work minimum wage as a sailor for a year, despite the professional repositioning ultimately being a favorable professional outcome for them. Both the states and their citizens have understood quite well that the regulations regarding sea service are not suitable for commercial yachting. Consequently, there are some countries whose regulations are more flexible than others’. We will take a look at those practices from which we may draw inspiration. As an editorial decision, I will not refer to the countries by name. Recall that the legal definition of a professional activity is elaborated in Article 156 of the official tax regulations for France. The overall net income subject to income taxation is the sum of all earnings, of any nature, received by the taxpayer. As per these provisions, carrying out a professional activity signifies all personal, direct, and continuous participation in carrying out the actions necessary for this activity. In this sense: all paid services delivered as well as services delivered in a professional capacity. a) The most common is a simple affidavit that asserts having completed, over the course of the five previous years, the certification requirement – navigation done in a professional capacity and equivalent to a year of sea service. In some countries, the candidate may even declare themselves as the captain and ship-owner, and fill out the form themselves. b) The presentation of a skills assessment record, put together by a certified professional training center. This serves to validate the candidate’s experience and confirms the truthfulness of the affidavit mentioned in the previous point. Validating experience allows to take into account all the types of experience contributing to the professional certification or repositioning, and is thereby compatible with the STCW regulations. It acts to verify the affidavit. This is probably the best solution, as it brings together flexibility and the verification of the truthfulness of the reported information in a manner that does not impose on the administration a large volume of verification work. 3) For boaters, there are two schools of thought, with some countries refusing to count non-commercial experience and others trying to find a satisfactory compromise. Recall that the current practices of co-navigation and the major activity of small-scale commercial boating make it imperative to find a solution for the hundreds of boaters who occasionally carry out professional activities without a certificate. Today, France is undertaking, in total violation of the international regulations, the search for a solution by decree for the small-scale coastal activities. A strict application of the rules would, for example, forbid a boating port employee to take on their inflatable service boat a boater for the purpose of helping the latter attain captaincy in the case that they are not a Master 200. The same applies for the ice cream and bread delivery boats working along our coasts. It is an absurd situation, and yet the solution chosen by France stands in violation of the international maritime regulations. a) The countries that, prior to the adoption of STCW regulations, did not ask for any particular certification for commercial boating now require an affidavit that could potentially be checked by consulting the relevant documents (logbooks, deeds, etc.). This position makes sense, since a captain who has been operating completely legally for years should be allowed to keep doing so. It is up to the requesting party to assess the private or professional nature of the navigations carried out. This position is fully consistent with the STCW regulations in the sense that while the regulations demand that the sea service be completed in a professional capacity, this need not mean that the service must be carried out in commercial or salaried form. For example, if I have someone pay me for an excursion out to sea, I am – according to STCW obligations – a captain delivering a professional service. At the same time, I’m neither an employee nor a commercial seller of the service, especially if I am self-employed or doing this in addition to my main occupation. In fact, these regulations only consider if the arrangement you were involved in as a captain was paid or not when distinguishing the experience acquired as being professional and not just done on a free hobby basis. Moreover, the differences in the legal and social-security systems across Europe open the door to numerous potential disputes before the CJEU following misinterpretations of the text, the maritime authority being unable to assess neither the conditions under which a given professional activity is carried out nor its shape or form, being only able to remark that the navigation was not carried out in a private capacity. For example, the majority of skippers who deliver boats carry out a real professional activity as self-employed workers, but their personal situations are made extremely complex by the fact that the deliveries are performed outside of territorial waters. Likewise, the French boater who charters under the Belgian or Dutch flag and who asks for remuneration not strictly linked to the onboard treasury would be carrying out for the French state a professional non-commercial activity, which, while conforming to the Belgian or Dutch regulations in the maritime sense, could potentially violate the tax regulations in France. Let us retain as a simple rule that the affidavit concerning a professional activity suffices in meeting the STCW regulations. b) The countries that dominate the waters have understood for a very long time now that to maintain a prosperous economy one needs regulations that are simple, practical, and effective. The goal is to ensure a supply of competent seafarers. Period! I have no intention of criticizing the regulations’ substance, as I believe that they are right and that it would have been better to heed their experience earlier. That being so, they have adjusted the international regulations to their needs, making it very easy to obtain certification as a boater. For the citizens of this wonderful country, it is just as easy to make it STCW – though a lot more difficult when you come from a competitor country. However, soon this certification will lose its community-based benefits and its recognition will no longer be automatic. An interesting path chosen by some countries is to count an hour in a simulator as being the equivalent of 6 to 8 hours at sea. This is an approach that deserves serious study. If we compare two countries, France and the UK, we see that one is strict in following STCW regulations while the other interprets them to its advantage. In France, it is possible to be a Master 200 without any real maritime experience, while still meeting the sea-service regulations. One person is a radar operator on a warship. He has never helmed a ship, doesn’t even know what it means to navigate, and yet has fulfilled his sea-service requirements. Another has been employed on a speedboat, making trips to an island less than a mile offshore – he also has fulfilled his sea-service requirements. Finally, the third used to be a cook on a chartered catamaran, making fair-weather outings of a few hours each and no farther than 3 miles offshore. He does not know how to moor a boat, but he has his sea-service requirements fulfilled. All three could go to Corsica tomorrow with 12 passengers on board, as the “very particular” regulations of the French legislation allow a Master 200 to go out up to 60 miles offshore. As it happens, the regulations with regard to this point fail to be consistent with international law. Some say that to be a Yachtmaster in the UK requires 15 days of training, while in France it requires 6 months of school. In simple terms, in France you have 6 months of schooling where all you do are map exercises, as they don’t know what else to teach you, while for the Yachtmaster you have an exam that takes 15 days to prepare for and which takes the form of a challenging hands-on task, with only experienced seafarers or boaters capable of passing. When you hire a captain or an officer who’s a graduate of the Yachtmaster program, you know that you’re getting someone more competent than the French boating Master 200. With Brexit, there is now a real opportunity for a member state of the EU to replace the UK in the training of captains and officers for commercial boating. To sum it up briefly, it is the job of the shrewd country who wishes to extend its influence in the world of commercial yachting to carefully and quietly maintain a measured formal respect for the STCW regulations, while at the same time being realistic. Such a country will be able to establish practical regulations and will reinforce its international credibility by supplying competent captains who are ready to take to the sea. 1° Pour la délivrance et la revalidation du brevet de Le service en mer peut être accompli sur tout navire armé au commerce, à la plaisance, à la pêche ou aux cultures marines-petite pêche quelle que soit sa jauge brute, sa longueur ou sa puissance propulsive. 2° Pour la délivrance d’un brevet de Pour la délivrance du brevet de 3° Toutefois, pour la délivrance ou la revalidation du brevet de article 24 du décret n° 2015-723 du 24 juin 2015 susvisé, peut prendre en compte un service en mer effectué sur un navire ne répondant pas aux conditions fixées au 2° de l’article 2 pourvu qu’il présente le même caractère actif et professionnel et que ce service soit attesté dans les conditions du 2° de l’article 3 ou, pour les brevets concernés, dans les conditions fixées par l’arrêté du 5 juin 2013 susvisé. A simplified legal analysis of the STCW regulations and obligations. International regulations demand that a sea-service period be required of captains and officers. For standard boating, the service may be carried out on any vessel type. The regulations demand that the sea service be carried out in a professional capacity, as opposed to navigation done on a private basis. No binding formality is imposed on those states with the total right of discretion regarding sea service. The states may delegate the task of properly verifying a given party’s sea service to third-party organizations. This is done in the UK, where the MCA has delegated these tasks to Nautilus and the PYA. All means of evidence are admissible in assessing a given party’s sea service. An affidavit may be used as evidence. There are no regulations to bind the states with regard to the verification of the documents and statements, and the states may take any measures that they deem suitable. Affidavits are a common administrative recourse when the material acts are difficult to prove or establish. It is a practice that is also common on the international and interstate level. An affidavit carries complex legal implications that depend closely on the legal situation that it is supposed to help resolve. When it aims, as is the case for sea service, to attest to the veracity of the facts leading to an administrative authorization, the latter may be nullified if it is reported that these facts are inaccurate. In this case, the false affidavit may be considered as a false testimony that retroactively nullifies an administrative decision that would not have been made in the absence of the factual evidence. As such, a false affidavit can have serious legal consequences, including the possibility of a misdemeanor conviction. On the other hand, in the interest of simplifying the administrative procedures and given the physical complexity of inspecting the facts, the affidavit is the best tool for the administration to use in making the application of the regulations possible. It is important for the states to issue certifications that attest to real competence, which will then be sought out by ship-owners and will bring credibility to the certifying administration. The states are free to carry out all necessary inspection with regard to the consistency of the facts stated in the affidavits. Still, the examination of the different documents can prove very painstaking for the administrations, and the content read will not always be pertinent. With regard to this point, in the countries where skills assessment records are provided as supporting documentation and contain an examination of the situation as carried out by independent organizations, this complementary formality not only becomes a precious aide to the states, but also adds value to the issuance of the title as a whole.